Rep. Gay Grant, D-Gardiner, asks a question during Tuesday's Taxation Committee work session. 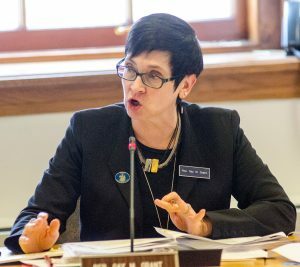 In backing the bill to give BIW $60 million in tax incentives, she said, "We have to have some state investment in this most important sector of our economic development."